Peter Thiel chooses better-fitting bubble in L.A. The conservative tech billionaire may be ditching lefty San Francisco, frustrated by its cultural homogeneity. His fortune and fame owe much to Facebook, which has helped add virtual segregation to real-world social sorting. In a sense, he’s a victim of his own investing success. PayPal co-founder and Facebook board member Peter Thiel delivers his speech on the U.S. presidential election at the National Press Club in Washington, U.S., October 31, 2016. Peter Thiel is moving from San Francisco to Los Angeles, according to the Wall Street Journal. Thiel thinks the city and Silicon Valley have become increasingly intolerant of conservatism. “Silicon Valley is a one-party state,” Mr. Thiel said last month at a debate on technology and politics at Stanford University. Thiel also discussed the idea of resigning from Facebook’s board, the Journal reported. The billionaire venture capitalist was the first outside investor in the $516 billion social network. 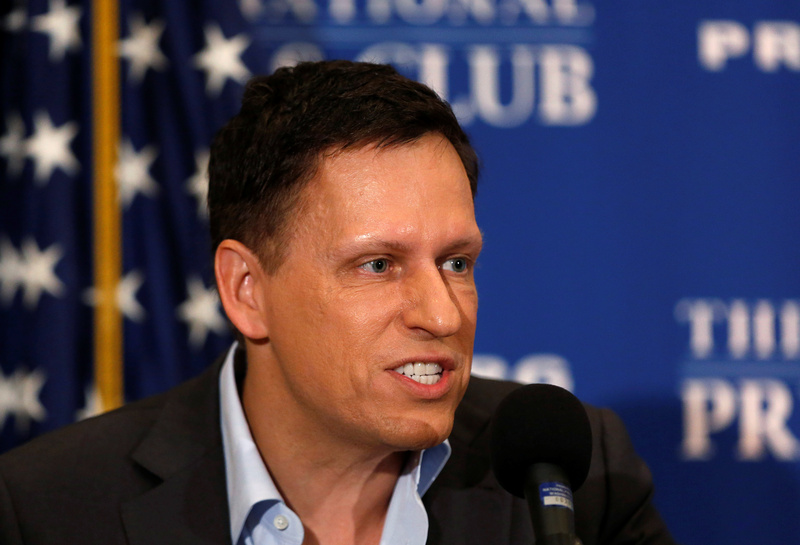 Thiel is examining the idea of setting up a conservative media outlet in Los Angeles. In 2016, fellow Facebook director Reed Hastings called Thiel’s support of President Donald Trump “catastrophically bad judgment” and said this reflected badly on his ability to be a leader at Facebook. Thiel donated over $1 million to Trump’s campaign and spoke at the 2016 Republican convention.